Lipoma in dogs is a common condition. Dog owners are alarmed each time they feel a lump or a fatty cyst on dog just under their skin and fur. Panic usually causes many of them to think that it is cancer. Lipoma is also known as a benign fatty tumor. It is treatable and preventable. Dog owners should just make sure they work with their attending vet to ensure their pet’s optimal health. What is Lipoma in Dogs? The lipoma’s movable characteristic is the what sets it apart from liposarcoma, which is a cancerous or malignant tumor in adipose tissues. Liposarcomas do not move underneath the skin at all. It is fortunate that these fatty tumors in dogs is rare. Generally, lipomas are not painful at all unless they grow in an area rich in nerves. These benign tumors are infiltrative. They thrive in the fascia, endocrine system, and muscle tissue. Lipomas can cause pain and immobility if they are invasive. These tumors need surgical intervention. Early detection is key to fighting lipomas. Dog owners should groom their dogs weekly to make this possible. Many pet parents resort to holistic treatments in softening and even dissolving lipomas. These methods also help the body absorb the lipoma’s contents, thereby shrinking them until they disappear. How Common is Lipoma in Dogs? Lipomas can appear almost immediately in dogs in the form of single or multiple lipomas. They are usually seen in overweight or older dogs. These benign fatty tumors are also common in Doberman Pinchers, Golden Retrievers, Cocker Spaniels, Labrador Retrievers, mixed-breeds, and Mini-Schnauzers. What Causes Lipoma in Dogs? From my past experience, vaccines have caused more harm than good to my pets. (in too many combinations) is harmful to the health of susceptible animals. Just a few baby shots and nothing more. Never give your dog a tap water as pets are highly sensitive to chemicals in water like flouride. This can upset his endocrine system and damage his thyroid. Get a lead-free bowl and use chemical-free flea treatment. These benign fatty lumps are very common in certain dog breeds such as Doberman Pinchers, Weimaraners, Cocker Spaniels, Labrador Retrievers, Schnauzers, and even mixed breeds. Elimination of waste from the body requires good circulation. A dog’s lymphatic system doesn’t have a natural pump like the heart. It merely needs good movement to work optimally. Dog owners should engage their dog in a good amount of exercise and give them proper exposure to fresh air daily. Walking is good for maintaining good circulation and digestion. The formation of lipomas in dogs is known as a sign that the body’s nutrients are not flowing the way they should be. The immune system blocks the fat and toxins as it eliminates the impurities out of the body, so that it can sustain and protect the organ systems. The blockage causes impeded circulation, leading to diseases such as lipomas. This waste build-up is often referred known as “toxic load” in dogs. Common toxins are pharmaceuticals, vaccines, fluoride, chlorine, glyphosphates, flea medicine, herbicides, pesticides, harsh shampoos, tick medicine, and heavy metals. Many people believe that too much fat in the dog’s body equates to the formation of fatty tumor, but this is not possible if the body breaks down adipose tissue. The issue is the type of fat present in the dog’s body. Organic treats and kibble are sources of oxidized and rancid oils such as canola oil, vegetable oil, animal fats, and GMO soy. The dog’s body starts defending itself once it senses the undigested oils. This manifests in the lipoma, which is like an organic wall of toxins and fat. Probiotics, prebiotics, digestive enzymes, and filtered water help dogs get better digestion. Kibbles are processed dog food or dry dog food which are bad for dogs and can cause lots of issues, lipomas are one of them. Kibbles mostly consist of at least 60% carbohydrates, low-quality protein, and very little moisture. They are being processed in high temperature and pressure that leaves almost no nutritional value in the food. And too much carbohydrates (like grains) are not good for dogs as it raises the production of insulin in the dog's body which leads to storing lots of fat. Eating starchy food can eventually lead to diabetes. Important: Avoid Tap Water if possible as the chlorine or fluoride can damage your dog’s thyroid and upset his endocrine system. How Big are Lipomas in Dogs? Take note that lipomas appear in various sizes from the smallest bump, to a size bigger than a standard tennis ball. How big lipomas get depend on the amount of fat stored in them. It is possible for them to grow even to the size of a dog’s head. Larger lipomas tend to develop in overweight dogs. If the dog loses weight, the benign tumor may decrease in size. Can Lipomas in Dogs be Prevented? The first thing you can do to help treat your dogs with lipomas is to stop supplementing the toxins by avoiding the above mentioned things that cause lipomas in dogs. By then, you can help by removing any existing toxins present in your dog's system by giving filtered water, feeding raw food (or natural diet), avoid drugs, herbicides or vaccines. As with any disease, prevention is always better than cure. Some experts say that there are fewer lymphomas in raw fed dogs because this kind of diet is low in carbohydrates. Kibble and dehydrated food items have significant amounts of starch or grains that are bad for dogs. Avoid chemical based tick and flea preventatives. Also stop over vaccinating dogs. CBD hemp oil has been proven to help several conditions in dogs. It significantly decreases the size of lipomas down to half their size. Dog owners give their dogs CBD hemp oil two times a day with raw feeding. Turmeric, omega-3 fatty acids, and other helpful herbs can also help eliminate lipoma in dogs. Daily grooming helps stimulate the oil glands underneath the dog’s skin and coat. Bathing and brushing help prevent the formation of additional lipomas. Tick and flea topical preventatives are usually filled with chemicals. It is best to use all-natural, non-toxic topical medications to keep external parasites away. Dandelion, burdock, and milk thistle. These support proper elimination, circulation, and liver function of the dog’s body. Phytoplankton for essential fatty acids, vitamins, and minerals. The first thing you can do to help treat your dogs with lipomas is to stop supplementing the toxins. The Chickweed moves fluids through the body and brings down inflammations throughout the entire system. It clears toxins out of the tissues with the help of the kidneys and liver. Used internally and externally, Chickweed helps dissolve lipomas and break up clumped fatty tissue. Diuretic in nature, it helps export toxins through the kidneys especially when combined with a lymphatic stimulant like cleavers (Galium aparine). Give as a tincture, 5 drops for every 30 pounds twice a day. 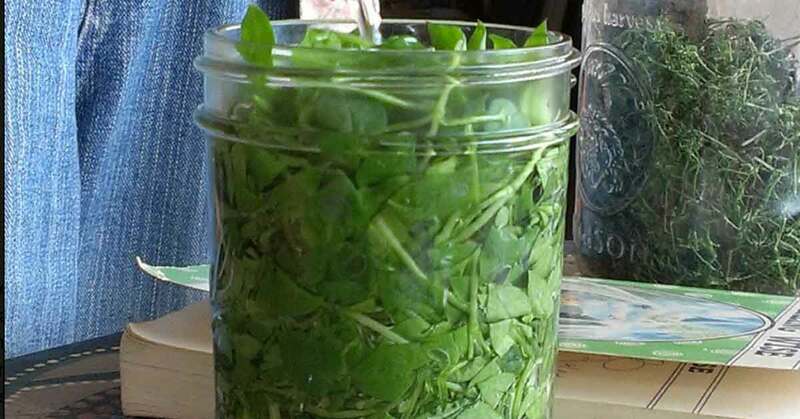 Check the chickweed tincture recipe here. These bitter herbs can help break down fats in the body by stimulating the digestive system. Dandelion and chamomile help clear heat (inflammation) from the body and decrease stagnation of fluids and energy. Dandelion increases circulation by thinning fluids and supports the linings of the gut by decreasing permeability. It stimulates the release of bile by the gallbladder to help digest fats. Dandelion is a potent lipoma fighter due to its ability to facilitate the removal of toxins through the kidneys and liver. You can add dandelions to your dog’s diet or use a tincture of dandelion ( click for recipe here) giving 1/2 drop of tincture for every pound of weight twice daily. Chamomile makes an effective infusion (a tea steeped 20-30 minutes) added to your dog’s food. Add 1 Tablespoon for every 30 pounds of body weight. 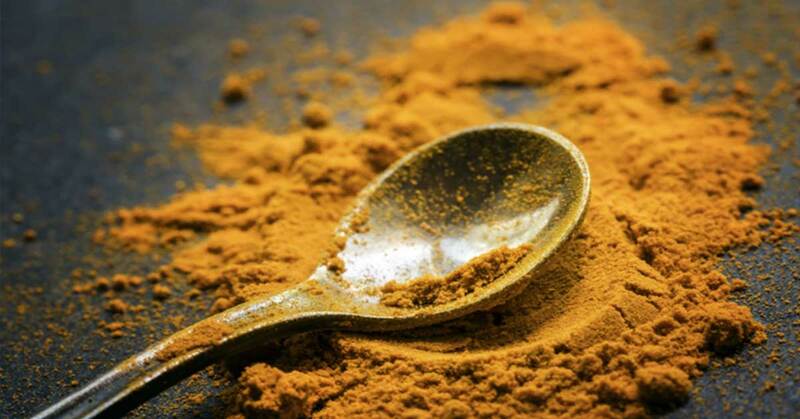 Turmeric A popular anti-inflammatory increases blood flow with its warming nature. It improves digestion and soothes intestinal muscles while protecting the liver as well as stimulating bile secretions from the gallbladder. Turmeric should be used cautiously with dogs that can’t control their body temperature. Give 150 mg per 30 pounds of your dog’s weight twice a day. 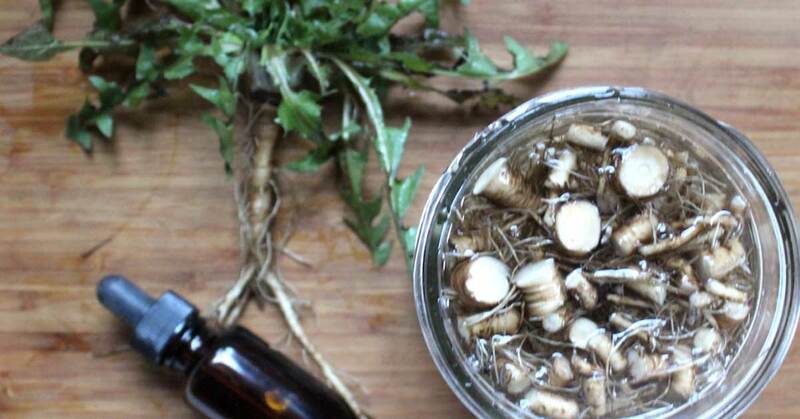 Burdock can be purchased in many forms, from natural root, capsule, tincture, dried or even teas and they are generally available at your local health stores. Dosage for Tonic (recipe here): Add 1/2 to 1 teaspoon for every 10 lbs of your dog’s body weight to his food daily. Burdock could interfere with medications being given to a diabetic dog. Disclaimer: These statements have not been evaluated by the Food and Drug Administration. The information on this website is not intended to replace a one-on-one relationship with a qualified health care professional and are for informational and educational purposes only.